We've loved organising our Shop Small Secret Santa and all the participants will now be scouring their local boutiques and searching for independent designers to purchase their gifts from. 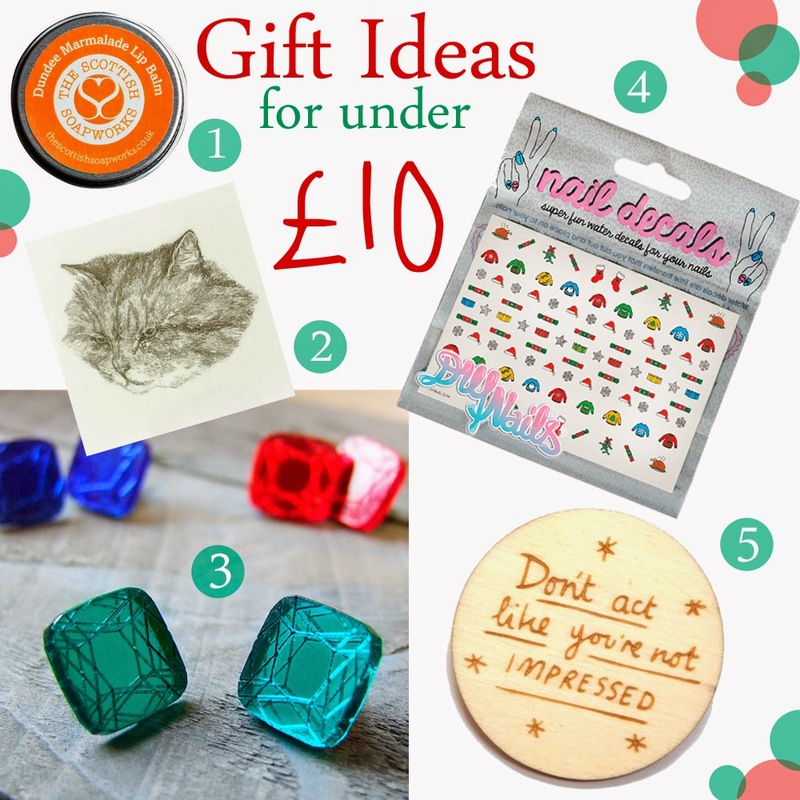 We thought we'd make it a bit easier for everyone by bringing together a selection of great gifts for under £10. With all these little treats coming in at such pocket friendly prices there's sure to be some ideas for everyone, wether they're looking for a secret santa gift or not. This Edinburgh based company have the most divine smelling soaps and extras, all handmade and produced locally. We have to choose the Dundee one though! Temporary tattoos are no longer just for children, there are some wonderfully illustrated pieces available if you can't face the needle (or can't make a decision). Hello Harriet's rabbit ones are superb too! Tis' the season to sparkle and these little beauties come in the perfect festive shades. A great way to finish of any Christmas outfits, be they for parties, shopping or dinner. We are big fans of dressing up our nails to celebrate special occassions. DIY Nails have delivered yet again, helping us make our nails Christmas ready with these fabulous decals. Tiny turkeys and crackers! What else could you want?! Apart from the excellent movie reference, this suits both of us to a tee! The perfect gift to remind someone on a daily basis just how lovely they are. 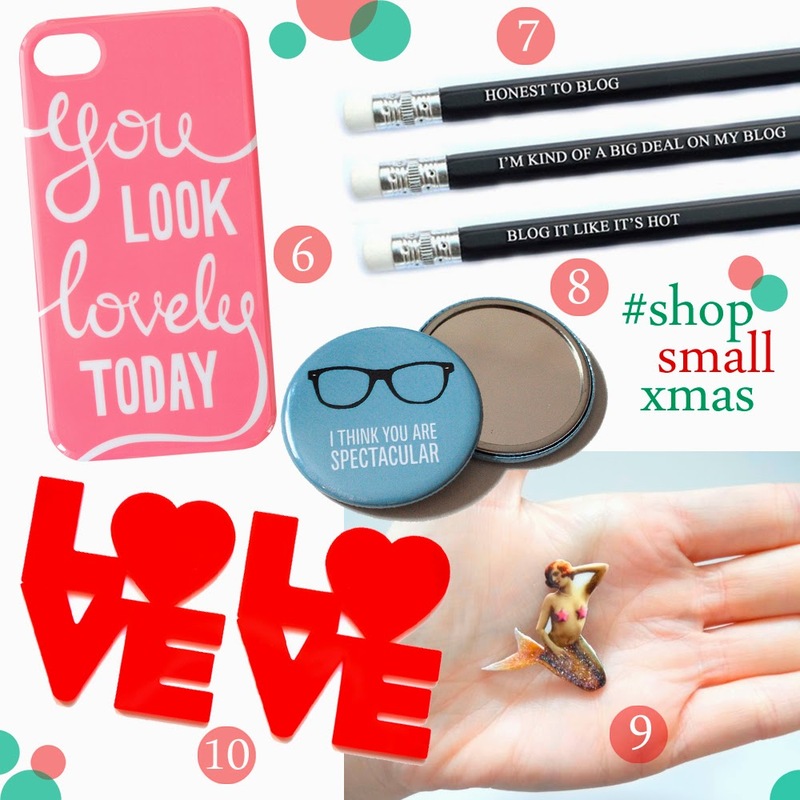 Practical with a hint of irony, these pencils are the ideal gift for any blogger! Compact mirrors aren't just perfect for your pocket, they also make pretty fantastic stocking fillers too. 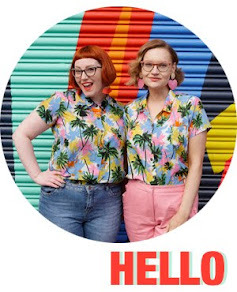 Baked Memes is a recent discovery to us but her plastic shrink brooch badges are all glorious and this slightly naughty pin up beaut is top of the list. Make sure your glass of eggnog doesn't leave a mark on the table with this super set of coasters. Who knew something so sensible could look so good!